Featured in the New York Times and on NPR, and sought after for both their command on the concert stage and their mastery as teachers, Haven String Quartet has been described as “exquisite” by the NH Register. Its four members represent the world’s top conservatories and bring outstanding chamber music performances to New Haven neighborhoods and throughout the region with a full season of concerts, recitals, educational workshops, and performances for diverse audiences in public spaces. The Quartet serves as the permanent quartet-in-residence and teaching faculty for Music Haven, and spearheads the organization’s tuition-free strings program for youth, which has been recognized as a top 50 after-school arts program in the country by the President’s Committee on the Arts and Humanities for six years. Each member of HSQ teaches a full studio of 15-20 Music Haven students in private lessons, group classes, studio classes, chamber groups, and an advanced chamber orchestra. Yaira Matyakubova, violin, has performed in Carnegie Hall with the Silk Road Project in collaboration with Yo-Yo Ma, and is member of the Knight’s Orchestra based in Brooklyn. She received her Bachelor’s degree from The Harid Conservatory and her Master’s degree from Rice University. Yaira further pursued her musical studies at Yale University from 2003-2005. She has been with Music Haven since 2009. Gregory Tompkins, violin, holds a B.M . in violin performance and a B.A. in psychology from the University of Rochester and the Eastman School of Music. He received his Master’s degree from the New England Conservatory. Gregory plays regularly in recitals all over the eastern United States, and has performed as a member of the Civic Orchestra of Chicago. He has been with Music Haven since 2013. 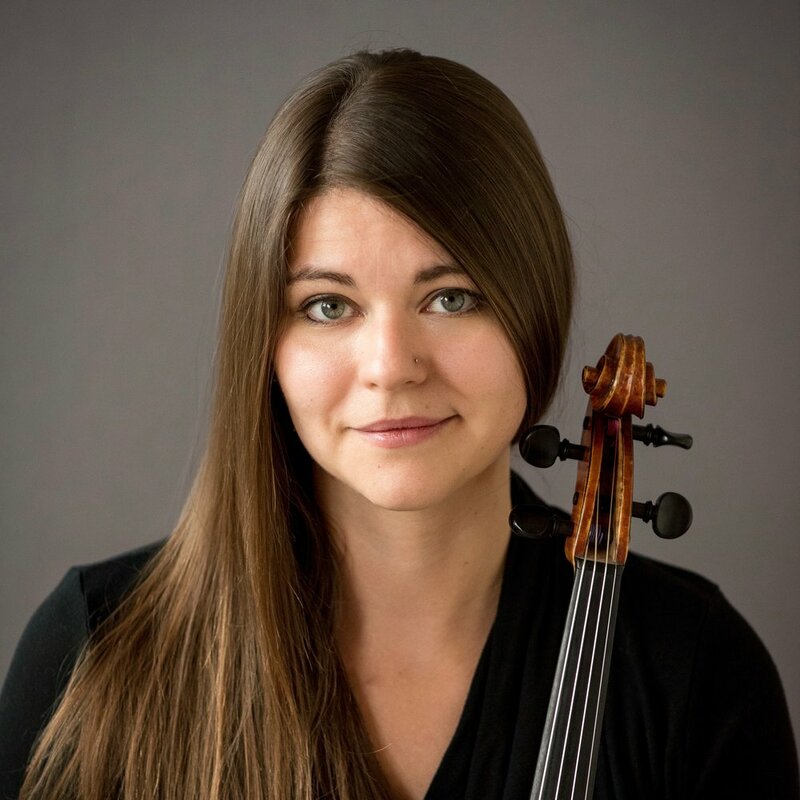 Annalisa Boerner, viola, earned her Bachelor’s of Music and Master’s of Music degrees from the Cleveland Institute of Music, and has performed with various orchestras throughout New England and Ohio. She held a Community MusicWorks fellowship in Providence, R.I., where she performed as a member of the Community MusicWorks Players. Annalisa joined the Music Haven team in 2015. Philip Boulanger, cello, received his Bachelor’s of Music from Boston University, and an Artist Certificate from the Krakow Academy of Music in Poland. He received his Master’s in Performance and Pedagogy from Northwestern University, during which time he was also Assistant Principal Cellist of the Civic Orchestra of Chicago. Prior to joining Music Haven in 2013, Philip served as a Teaching Artist for the Chicago Symphony Orchestra, and worked with Yo-Yo Ma on the Symphony’s Citizen Musician Initiative. L I S T E N T O T H I S !